Tourists Walk By Street Of Roros In Roros, Norway. 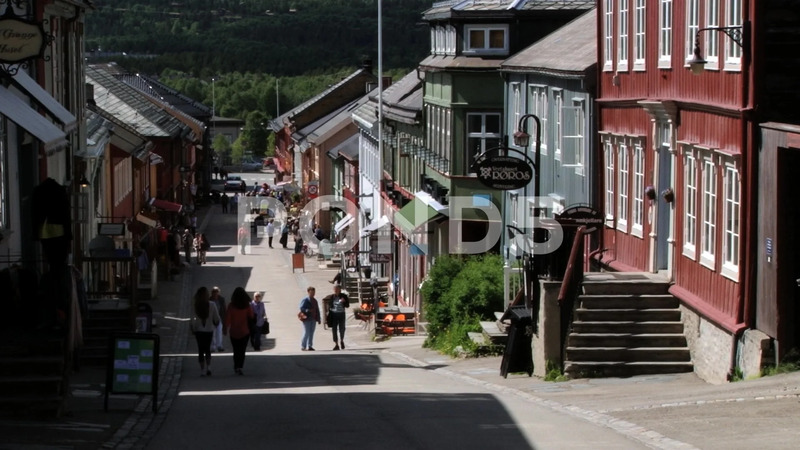 Description: ROROS, NORWAY - JUNE 24, 2013: Unidentified tourists walk by street of Roros in Roros, Norway. Town of with its traditional timber houses is declared a UNESCO World Heritage site.